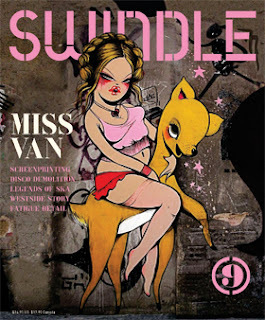 The new issue of Swindle magazine, number 9 has just dropped and features Miss Vans gracing the front cover. There is a short extract from the interview with Miss Van here. You can buy the magazine directly from the Swindle website or from select bookshop across the country.